The Alps, and The Verdon – Do your dream! 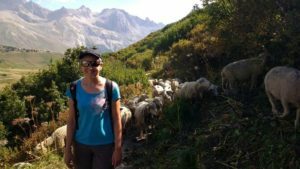 The next day we did a bit more biking from Val d’isere but stuck to the green, but Mels confidence as well as her body had taken a big hit, so rather than being loose and flowing, she was too tense and didn’t enjoy it. Clearly the fall will take time to forget – not easy with large CD sized bruises of red, green, yellow and purple. Impressive collection of colours really! Though Mel does bruise like a peach. As the lifts close within a few days, we opted to move on and wandered over the Alpine passes heading South, and coincidentally via our much loved Valloire. Valloire was massively busy and buzzing with a huge 4×4 / offroad show that we stopped to enjoy, planting more ideas for the future. Then over another mountain pass to wild camp at Col du Lautarey , a beautiful spot with some impressive walks and Alpine sheep. One of the walks crossed a steep river/waterfall with water of melted snow with potential to be washed down the mountain to doom. I videoed Mel just in case it was worthy of YouTube, but in the end we made it across in one piece and dry. However on the way back it was my turn to have an accident, doing a spectacular double-foot-trip and doing down like a sack of **** with a faceplant and almost breaking my wrists (ok – small sprain) – but all OK! Our previous blogs say this part of France is slow going, but we forgot how slow! The scenery is stunning, we love mountains, rivers and lakes, so we drive slow and stop frequently but it does take ag es to get anywhere. You really need to get off the main road to see some places as some on the main roads are a bit average. Castellane is an exception with an aire in the centre, and bustling pretty medieval town. 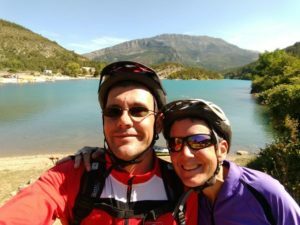 We’d stayed there before to enjoy some walks, but we did some biking here and a nice blue ride – this time let down by our lack of fitness pedalling up hill. The ski lifts are much easier to get up, albeit a bit harder/steeper to get down. But we survived! 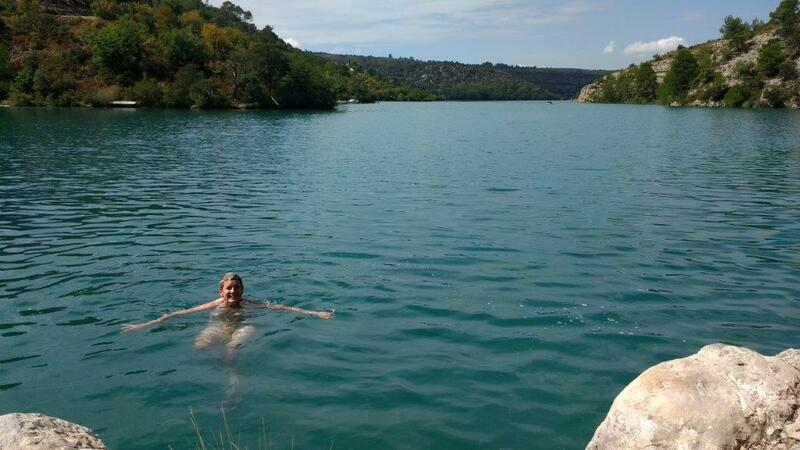 The Verdon area is just as stunning as the Alps, more trees, but the gorges de verdon is just as impressive second time around, with stunning blue lakes and rather pretty. If you can find a quiet spot away from the hoards it is a lovely vista and very relaxed and worth of a few days chilling and walking, so we did just that just on the edge of a nice quiet secluded blue lake. 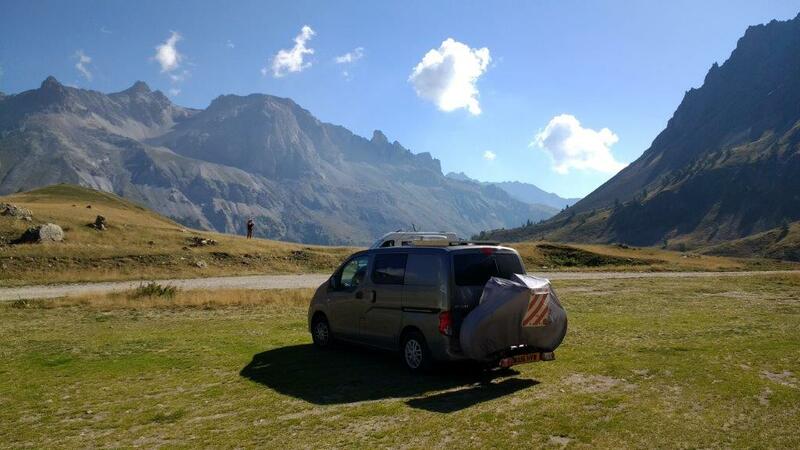 ← Month trip in new van starts…. Pingback: Month trip in new van starts…. – Do Your Dream!! 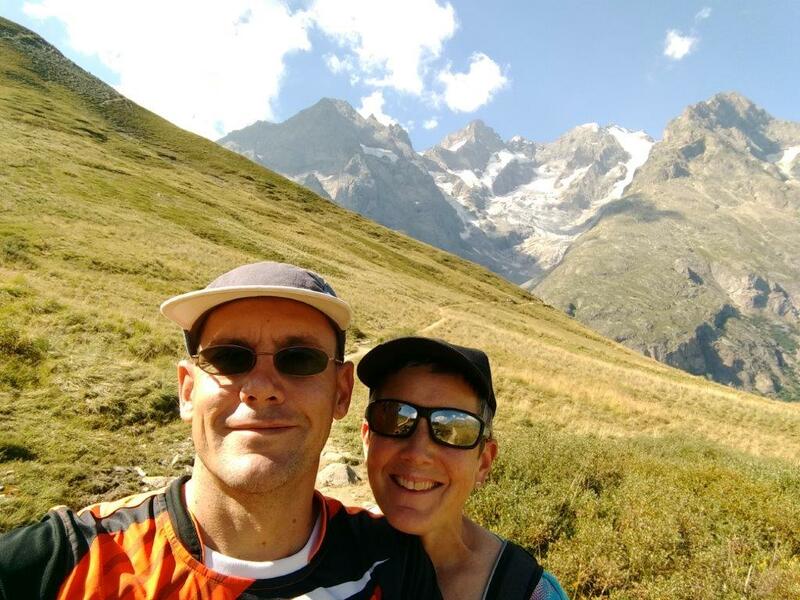 Pingback: Verdon, to the med, and dawdle home – Do Your Dream! !